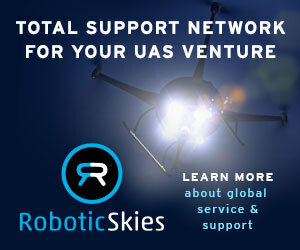 The U.S. Senate has approved an amendment to the Federal Aviation Administration reauthorization bill that would extend the authorization of every unmanned aircraft systems test site for an additional 5 years. Plus, test site updates. A new organization of insurance and construction companies known as the Property Drone Consortium has been formed to safely develop UAS technology to conduct inspections. Shaper Shape Inc. and the Edison Electric Institute are joining forces to advance UAS technology to inspect electric utility power lines and infrastructure employing beyond line of sight operations. Qualcomm's place in the unmanned aircraft systems (UAS) industry will now be directly linked to its testing facility in San Diego. The tech giant recently received a certificate of authorization for autonomous flight and communications links. Pulse Aerospace, a Kansas-based unmanned aircraft systems (UAS) developer, is utilizing recently formed partnerships to serve new agriculture-focused clients. Built from the byproducts of the silicone industry, a new paperlike battery developed by a Kansas State University mechanical and nuclear engineering professor could improve unmanned aircraft system operations.